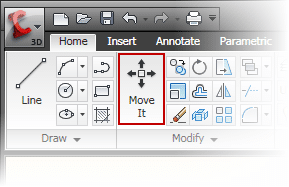 Recently I’ve had a few people ask me about modifying the display names of ribbon tools inside AutoCAD 2010. 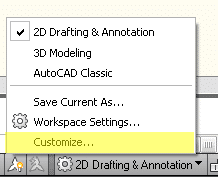 More specifically; how to make AutoCAD show the display name for a tool on two lines (not just one). 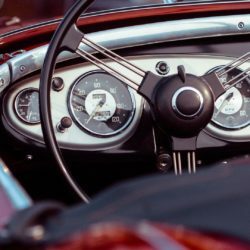 With the question growing in popularity, I figured it was time to make a quick post on the topic. The solution is as simple as knowing about the code “\n”. 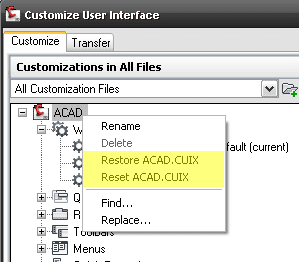 When entered into the Display Name field inside the CUI command, AutoCAD will convert it into a line break. To help those unfamiliar with the CUI command, I’ve recorded a quick video demonstrating how to use this simple, but powerful code. Read moreReset CUI verses Restore CUI – What’s the difference?